Reputation means everything. You will find our top tier customer reviews on trusted websites like, Google, Facebook, DealerRater, Cars.com, Yelp, Edmunds.com and more by real world customers. 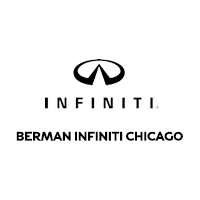 Top reviews assures a world class experience at Berman INFINITI Chicago. Let us make servicing your new or pre-owned INFINITI as easy as purchasing it. We’ll take care of your first two oil changes and tire rotations within your first year or 10k miles of ownership. For customers who purchase or lease any new or INFINITI-Certified Pre-Owned vehicle after October 1, 2016 at Berman INFINITI Chicago.